Imagine a pair of robotic hands carefully placing a stent in the coronary artery of a human heart or planting artificial lens inside the eye. Quite futuristic, right? But robot-assisted surgeries are no longer a figment of our imagination anymore. We are officially in the age of Robotic Surgery, where artificial intelligence and human ingenuity join hands to revolutionise medical science like never before. Robots have always captured our collective imagination. The idea of man-made “creatures” waiting on us hand and foot has been the subject of many sci-fi movies and books. But robotic technology today has been pushing the boundaries of human innovation and turning some of our sci-fi fantasies into reality. And one such area where artificial intelligence has been making its mark is surgery. Here are all your questions about Robotic Surgery answered! Robotic ENT and Head and Neck Surgeries Is the Future of Medicine. Robotic surgery is a minimally invasive procedure where robots are programmed to carry out complicated medical procedures that cannot be performed by human hands. These devices can be “trained” to use surgical instruments, enabling the surgeons to carry out complex tasks with utmost precision. The surgical tools are mounted on robotic arms instead of human hands, and are then controlled by surgeons with the help of computers. Gujarat Doctor Performs Telestenting Heart Surgery Through a Robot Sitting 30 Kms Away. First introduced in 1990 for urological surgery, robotics has been plugging the limitations of minimally-invasive procedures like laparoscopy. Two of the commonly-used robotic devices are da Vinci Surgical System, which was approved by the FDA in 2000, and ZEUS system. 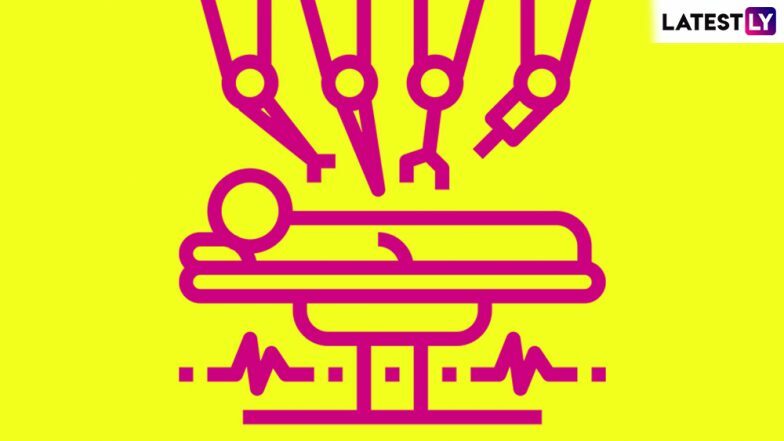 Contrary to popular notions, surgical robots cannot function without human surgeons and are not meant to replace them. Each surgical system has some important components – the computer console with a 3D view of patient’s body, “joysticks” that translate the surgeon’s movements into the robots real-time moments and robotic arms that carry out the surgeon’s movements on the patient. Some advanced robotic devices can mimic the motions of a human wrist, including 7 degrees of freedom. Robotic surgery is minimally-invasive, which means shorter hospitalisation, lesser pain, faster recovery time, smaller incisions, lesser blood loss and reduced scarring. It is also more precise than human hands when it comes to carrying out minute surgeries. Robotic arms can work with 1mm of precision as opposed to the human hand which has only 10mm of accuracy due to tremors. Another advantage of robotic surgery is that it can access parts that are hard-to-reach in the human body. With greater precision and skill, robotic surgeries have higher chances of success as opposed to traditional ones. What is Robotic Surgery Used for? The major specialities areas of robot-assisted surgeries are urology, gynaecology, general surgery, ENT and neurosurgery, and thoracic and cardiac surgery. With the help of robotic arms, surgeons can carry out procedures like prostatectomy, partial nephrectomy, gastric bypass, colorectal surgery, mitral valve reconstruction and nasal surgeries. Robotic surgeries may involve some complications similar to conventional open surgery. But with advantages like shorter hospitalisation period, lesser blood loss and more accuracy, robotic surgeries theoretically are supposed to be safer than regular operations. How Much Does Robotic Surgery Cost? Robotic surgeries are more accurate than conventional procedures. That’s why robot-assisted surgeries may cost the patient more. Compared to regular operations, on an average, you may have to shell out 1.5 lakhs more for robotic surgeries.